Arranged by Gerre Hancock. Hinshaw Sacred. Sacred. 16 pages. 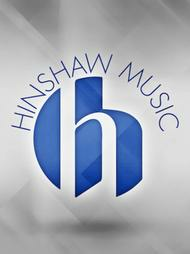 Hinshaw Music Inc. #HMO164. Published by Hinshaw Music Inc. (HL.8765604). Contents include: O For a Thousand Tongues to Sing; Holy God, We Praise Thy Name; Jerusalem, My Happy Home, Come, Thou Almighty King; All People That on Earth Do Dwell, and more.